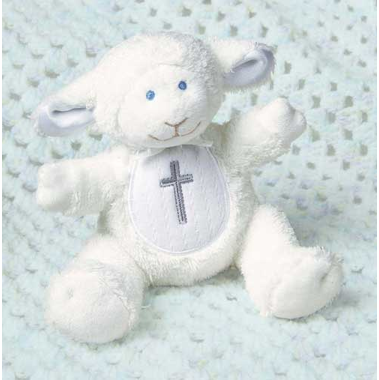 This well-made white Baptism lamb is a perfect favor. It has an embroidered cross, blue eyes and an embroidered nose and mouth. As a result it is both decorative and safe for little ones. You may also use these favors as a centerpiece by placing them around a candle.